High ISO up to 3200 capability helps give you sharper results when shooting in low light or capturing fast-moving subjects. Smile Timer and Blink Proof makes sure you’ll always catch the decisive moment when your subject smiles and Blink Proof function shoots two pictures and automatically saves the one in which the subject’s eyes remain open. Blink Warning, when activated alerts you that the subject may have blinked and allows you to retake the photo. Not compatible with Multi Media Cards (MMC). Based on CIPA industry standard for measuring life of camera batteries. Measured at 23°C (73°F); zoom adjusted with each shot, built-in flash fired with every other shot, image mode set to Normal. Excluding projections.Method of noting dimensions and weight is in accordance with CIPA DCG-005-2009 guideline. 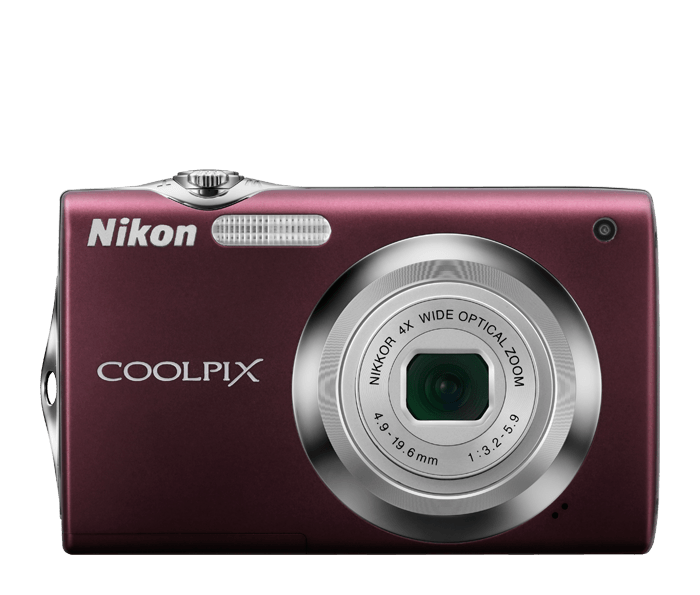 with battery and SD memory card.Method of noting dimensions and weight is in accordance with CIPA DCG-005-2009 guideline.